These pearl jelly pumps by Mini Melissa, have a lovely gold sheen. They are made in sweet scented Mel Flex PVC, with the designer's signature peep toe and hidden wedge heel. 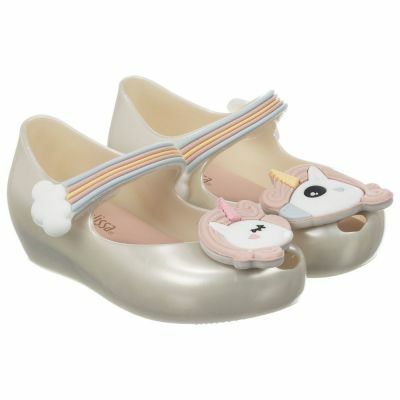 They fasten with a velcro fastening strap across the foot and have a large bow on the front.